Welcome to SureWater Technologies Inc. 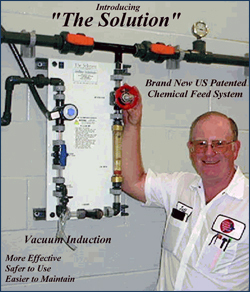 FINALLY THE CHLORINE FEED SYSTEM WE'VE ALL BEEN LOOKING FOR IS HERE! State of the Art US Patented Technology that replaces chemical feed pumps! "The Solution" MD 22152-01 Is a wide range high capacity sodium hypochlorite (bulk bleach) feed system designed specifically for use in recreational water venues and water processing facilities. It's revolutionary new design is based on venturi (vacuum) feed rather than pressure. "The Solution" is NSF/ANSI Standard 50 Certified and comes with a complete two year warranty. Is your water right? Be Sure with SureWater Feeders! This Feed System is 99% Maintenance Free! 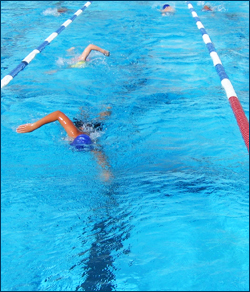 Isn't it AMAZING that with the advancements in today's technology, considering the automation of CHEMICAL CONTROL and FILTRATION, the Water Park / Commercial Pool Industry has been LACKING in QUALITY Chemical Feed Systems? THAT IS NO LONGER THE CASE! SureWater Technologies has "THE SOLUTION"